It took only a few days of fooling around with Google Classroom to convince me that it would be a valuable tool for my teaching. Once I started thinking about shifting my curriculum to Classroom, I quickly found a great excuse to review my existing assignments with fresh eyes, and I've happily found many ways to tweak assignments to make them stronger, more interesting, and most importantly, more student centered. We were already a GAFE school, and I had moved all student writing from Word to Drive years ago, so I wasn't sure I needed Google Classroom. What I discovered, of course, was that this new tool streamlined my workflow and made it easier to do more. As mentioned above, it streamlines my workflow. 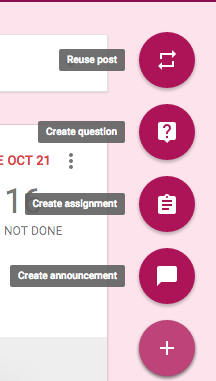 Rather than searching through hundreds of shared documents in Drive, Classroom is organized by class section. When I need to look at a student's work, I know exactly where to go and can navigate to her assignment in a matter of seconds. In the past, it was a struggle to get a classroom full of 5th Graders to title their documents in a uniform, organized way, and to remember to share them with me as soon as they were created. With Classroom, the title field is automatically populated with the name of the assignment and the name of the student. Of course, it's also automatically shared with me through the student's class section. Because Google Classroom is a paperless classroom, I've been forced to rethink the ways in which I provide feedback on student writing. Instead of using a pen for line by line edits, I can use in-document commenting for specific feedback, and then use the overall comment feature to assess the assignment as a whole. 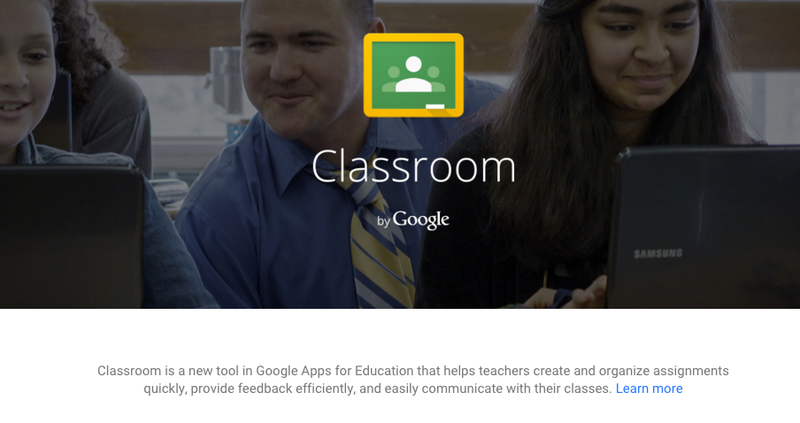 Classroom is not just for Google Docs. Sure, I can use it to assign a long-form writing assignment that is best suited to a document, but I've also found the Ask a Question feature to be incredibly useful. I regularly use this feature to check-in with students about the novel we're reading. I can ask a quick reading comprehension question in the middle of a class, have students respond to a quote, or even use the function to do a free write. This feature is, to me, the height of efficiency. 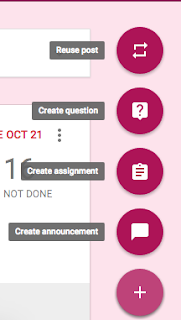 It's easy to plan ahead with Classroom, as I can create assignments and save them as drafts until I'm ready to assign them. It's also just a few clicks to push a single assignment out to several sections. My hope is that the next iteration of Classroom includes a feature for pushing out drafts on a specific future date. A sample question from my 5th Grade English class. This was one of several "check-ins" students responded to as we read Esperanza Rising. Their responses helped me assess their level of comprehension as well as their writing skills. If you're starting to explore Google Classroom for your school, I'd highly recommend visiting Alice Keeler's site, which has an entire section dedicated to her informative posts on how to best integrate Classroom into your classroom.